When rushing to the hospital for a birth, you don't want to forget your essentials! This pregnancy bag checklist will help you remember what to pack so you can set it aside ahead of time. 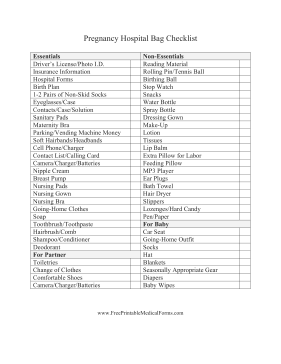 This list includes the essentials for both parents and the baby, so everyone will be comfortable.